Noventis, saw small to midsize business (SMB) adoption rates of virtual card (also known as v-card) payments increase significantly over the past 12 months. Virtual card adoption rates were particularly strong across high-ticket industries, such as professional services; and within industries that have longer, more arduous payment cycles, like healthcare. Heading into 2018, we expect v-card adoption rates to continue accelerating as more SMBs look to capitalize on the benefits of e-payments and as more B2B processors recognize the value of extending their electronic payment reach to small businesses. Research from First Annapolis predicts that virtual card payments will double from $83 billion in 2015 to $160 billion in 2018, and explode to over half a trillion dollars by 2024. As businesses continuously seek new ways to gain a competitive edge, many companies see the advantage of streamlining non-revenue generating processes like accounts receivable to improve efficiency or reduce costs. Seventy-nine percent of organizations that participated in the most recent AFP Payments Cost Benchmarking Survey are seeking to convert paper checks to electronic payments. 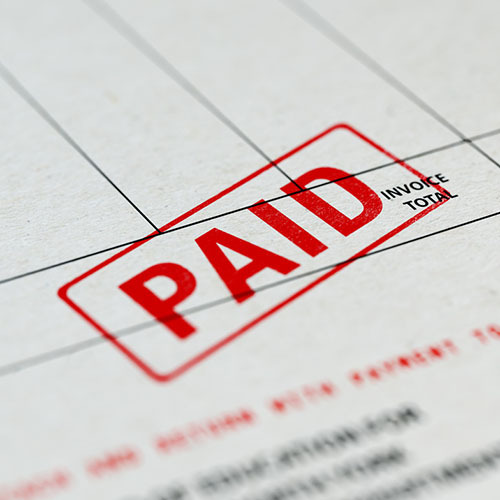 The median cost of receiving a paper check for organizations with annual revenues below $1 billion is between $2.01-to-$4.00 according to AFP. In the same survey, 88% of AFP respondents cited increased efficiency as the primary reason for transitioning from paper checks to electronic payments, 82% to cost reduction, 60% fraud prevention and 38% to facilitate straight through processing (STP). While many large businesses have long reaped the cost savings, efficiency and security benefits of electronic payments, SMBs have faced significant e-payment adoption challenges that have forced many to accept the slow nature of paper checks. Lower Fraud Risk: According to an AFP 2017 Payments Fraud and Control Survey, checks are the most common payment rail for fraud. Research indicates that up to 75% of all businesses experience check fraud. In contrast, virtual cards make it almost impossible for fraudsters to steal and re-use the card number since v-cards can be issued in the exact amount of the bill and payment can be restricted to a specific industry. Faster Access to Funds: It is no longer practical for businesses to wait up to 7 days for check funds to be available for use. Virtual card payments often clear within 24 hours, which equates to better cash flow and improved revenue cycle performance for SMBs. Save Time and Money: Based on estimates from AFP, receiving a paper check is 5X more expensive than receiving an electronic payment. Although businesses incur credit card fees when v-cards are used as payment, they also gain rich remittance details in return. Noventis is estimating that its payment network will eliminate $1.2 billion in checks from the ecosystem in 2018. The success of fintech initiatives like these has the potential to extend the far reaching environmental, economic and security benefits of reducing society’s dependence on paper checks beyond big business down to small businesses and, ultimately, to the constituents they serve. Less waste, improved efficiency, lower costs and reduced fraud will ultimately drive SMB’s adoption of v-cards as all companies benefit from these realities.